It’s no easy feat to write about food while fasting and I am sure you can all agree. 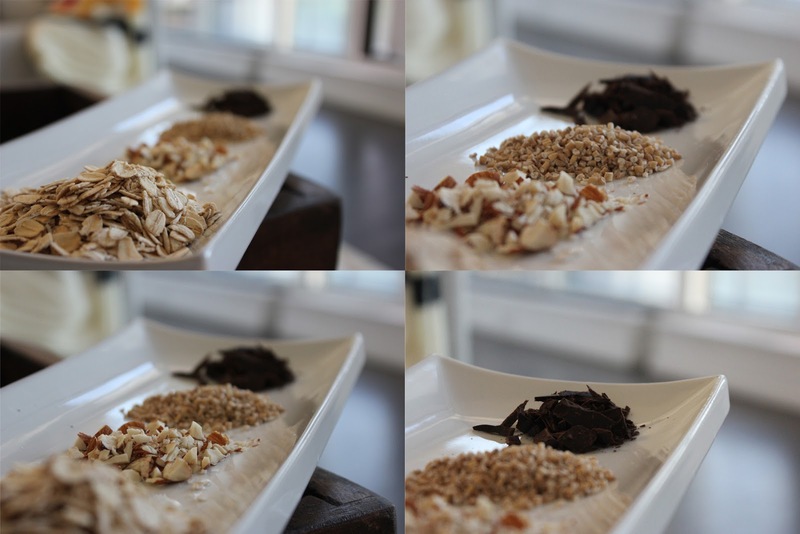 I did, however, have to share this delicious recipe I tried out last night before Iftaar. For some reason, I just love watching recipes and food videos while fasting, not sure why but I just do! Usually when I watch these videos, I end up trying a few things out, just because I have the time to. A great thing about that is that I end up with a lot of food for Iftaar and usually end up having it over a few days. This makes prep very easy and gives more time to doing what we’re meant to do during the Holy Month of Ramadan – pray. This year, Ramadan in Toronto has been particularity difficult – with fasts as long as 17 hours! 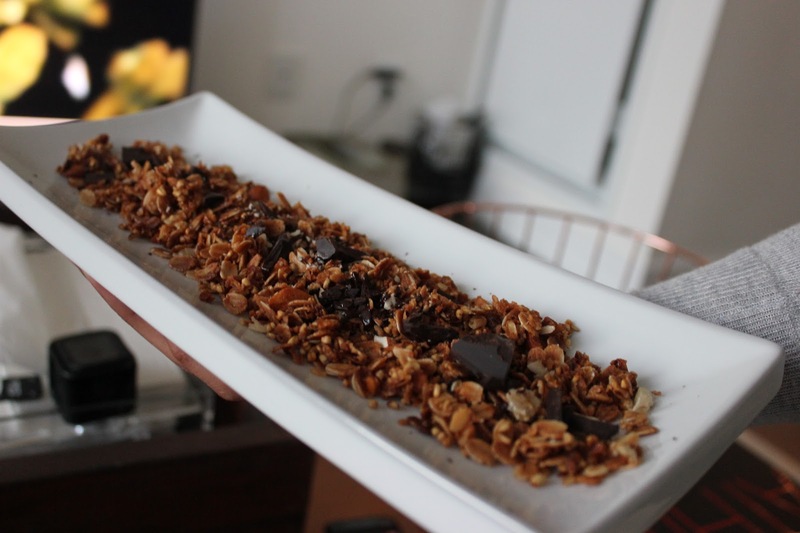 Anyway, I had a lot of fun making some delicious things yesterday, including some beef kebab skewers, a flour-less cake and delicious (and easy) granola! I loved how it turned out. I did swap out some ingredients to use what I already had on hand. I used Agave for my sweetener and a combination of rolled oats, steel cut oats, chopped almonds and unsweetened chocolate (added after it was cool) and a drizzle of honey on top once it was ready and cooled. I got the recipe from Gemma Stafford of Bigger Bolder Baking – one of my fave cooking channels on YouTube. She has popular meals that are really easy to make. 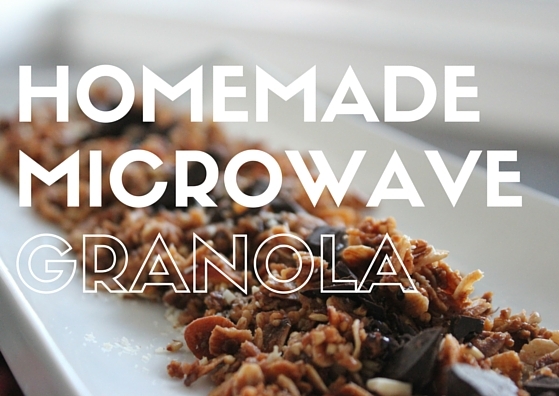 This microwave granola was from the video below. I will definitely be trying and sharing results of more things I make in the microwave. I would love to see what you make in your microwave using these fab recipes. Follow me on Instagram and on Facebook to get updates on blog posts and other things I am making/doing!